Depreciation is both a gift and a curse, depending on who you speak to. 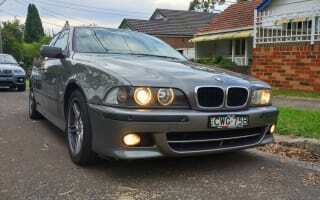 For the first owner of this 2003 BMW 525i Sport (series E39), I think she might be the latter. For a car approaching 15 years old, it has lost over 90 per cent of its value, or over $90,000! I would be pretty upset myself. But I am not, as I am on the other side of this capitalist construct. You see, I have in my possession a car that only the somewhat “rich” can once afford. Not only does it bring me a good reliable motoring experience, but also with it, luxury, comfort, style, performance and a certain stereotype. Hailed as the “best car BMW has ever made” and even “the best sedan ever made”, the E39 5 Series is nothing short of legendary. 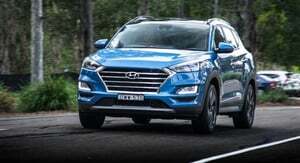 To put a frame over these statements, consider the news regarding the upcoming new Hyundai Genesis, published in May 2017. 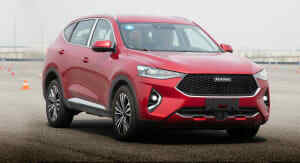 Searching for these keywords will give you articles and articles saying Hyundai is going to benchmark the E39 for its handling. Take a second to understand – a luxury flagship of a reputable car maker is benchmarking a 15- to 20-year-old car. Please provide another example in the automotive industry. Simply put, the E39 had the perfect blend of everything. From performance to comfort, from practicality to looks. The M5 was the car you dropped off your kids to school in the morning and drove to work, and the same car that you took to the local racecourse for track day over the weekends. 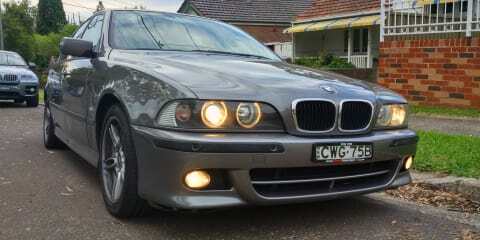 Or if you did not have the M5, but another E39 nonetheless, just some back roads. It is the one-size-fits-all solution. With comfortable seating for five, I do not see why not. If you glanced at this car in traffic or at a carpark, you wouldn’t even give it a second look. Dark grey metallic paint exacerbate this effect greatly. Just a typical four-door sedan. Boxy, but with smooth edges; aerodynamic, but not overly feminine. If you had a good taste you would say this car looks “classy” and “mature”. Otherwise it can be interpreted as “boring” and “old-man style”. Nevertheless, the M-Sport package adds to the visual appeal in a subtle but purposeful way. Never overdoing it but it is definitely there. Starting from the front, the darkened headlight shrouds with Angel Eyes stand out immediately. The low ride height with the front and rear bumpers and side skirts makes the car look aggressive and suggests a sporting nature. Enlarged air intake mesh screams performance, while at same time cooling not only the radiator, but also the front brakes. At the rear, the first thing you will notice is the massive three-inch exhaust. Quite uncommon for a luxo-barge, really. But according to most people, the bigger the exhaust, the faster the car so what do I know. The rear finishes off with a nice subtle boot lip spoiler, which I really like. It is not overly large like sports cars, but I’m sure it serves some function at higher speeds. To climb inside you first need to open those heavy, substantial vault-like doors. Closing them after you gives that satisfying “German thunk” that some people are so obsessed with. Once inside, all noise levels drop. You cannot hear what is outside the car. Comfort and luxury greets you in the form of full leather seats, eight-way powered front seats with two-way manual thigh support, auto/tilt sunroof, dual-zone climate control with auto recirculation function, widescreen DVD navigation system with AUX and six-CD changer and TV and a full trip computer. 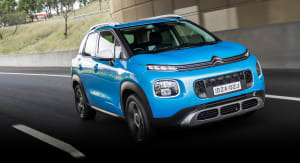 Other creature comforts and options include front and rear sensors, front and rear fog lights, cruise control, remote controlled windows/sunroof, M tri-colour trimmed leather steering wheel, heated mirrors, auto dimming centre mirror and heated windshield washers. Safety features include 10 airbags, seatbelt pre-tensioners, EBD, ABS and traction control. One thing numbers and stats do not convey is the quality of craftsmanship this car oozes. Even after almost 15 years, this car has absolutely no squeaks, rattles or loose trims. The leather is plush and thick everywhere, and the switchgear and controls are solid. One thing I like especially is the indicator and windshield wiper stalks. They feel solid and substantial, with no play or wobble to them at all. Every turn signal indication, you can feel the switch just clicks into place – direct, purposeful and satisfying. 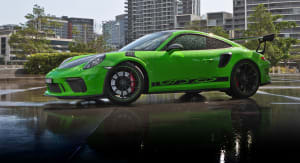 Powered by a modest 2.5-litre inline six, the car produces 141kW and 245Nm. These numbers can be deceiving, which can be proven once you jump in and put the Steptronic transmission in Sport or Manual mode. At low to medium acceleration, the car feels like a CVT and not a torque converter auto. The five ratios are so well spaced together you will not feel it shift gears. The engine is always in that rpm sweet-spot of approximately 2500 and stays there. Everything is so smooth – the ride quality, the engine revving and the transmission shifting. During this time the cabin feels very quiet, as if you are in your own little world. Fuel consumption with this style of driving can be around 6L/100km on highways (I average 11 L/100 km over the week). Wind noise and tyre roar are minimal even at 90 km/h. For a car designed to be driven on the Autobahn, this is a piece of cake. 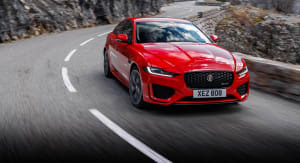 If you are in urgent need of some speed, you would put the car in “kickdown mode” – the transmission downshifts two gears at least, maybe three, and the tachometer reads somewhere round 6000rpm and with it, the mighty roar of the inline six. With this style of driving, your fuel consumption will be off the charts – literally (BMWs had a gauge showing you instantaneous fuel consumption that tops at 30L/100km). For an executive sedan, the little raspy exhaust note that accompanies this might catch you off guard. For a car that weights 1600kg, taking a tight corner might surprise you. I am not sure if it is the almost perfect weight balance of this car, or the sophisticated suspension system at work, but you never get the feeling that you are being pushed towards the curve. It feels smooth, and balanced. The whole car glides into the corner with no uncomfortable g-forces. The centripetal force generated by the tyres hold on without breaking a sweat – maybe due to aggressive rear camber. It all happened too fast, and now you want to take another corner to understand just WHY it feels so good and effortless. So far all these are good points about the car. But people always had doubts about buying used Euro luxury cars. So here are some of my own experiences to give you a real life scenario of what you can expect. These cars are well built and generally little went wrong. However at this age expect all of the common problems to be present. Cooling system was a weakness in all BMWs of this era. This includes thermostat, hoses and water pump. So any BMW independent mechanic can make short work of this job. Secondly the crankcase ventilation valve system will have failed due to prolonged exposure to heat from the engine bay. A cheap and simple fix for the DIY. Last of the must-checks is the cooling fan. The fan clutch would have gone bad by now by virtue of time and the clutch fluid losing its frictional properties. A screw-off and screw-on fix that should take no more than an hour, DIY. A myriad of smaller things went wrong with my car. Like broken cupholders, brittle plastic in the engine bay, fuel cap lock fidgety et cetera. The pixels in the trip computer tend to go bad too. This can be fixed cheaply. This is no Ferrari. Maintenance is probably the last thing that should get you worried. For some perspective, a DIY service will cost you $80 with synthetic oil. Tyres from a good retailer with a good compound will run approximately $170 a corner, fitted. Brake pads, spark plugs and various filters are cheaper than a Toyota equivalent. Keep in mind these are all genuine OEM parts. What about massive disastrous things that might explode and write off the car? There are none. As long as the above has been followed, your car will run forever. The engine itself is bulletproof, as is the ZF transmission. The electronic problems allegedly associated with Euro cars did not happen to me at all. The chassis is well built and has no known failure points, unlike the E46 with the rear subframe cracking. Ultimately, I wonder why these do not cost more than they already are. With the prices currently on sale it is a mystery why nobody buys them? I am not sure when the rumour of unreliable Euro cars came to be, but any modern car with proper maintenance can last forever. Few years back I would of never wanted to own a BMW (thanks to this certain myth), but now I ask myself – why anything else?